Nope. As it turns out, they're just playing a little game called Pokémon GO. If you browse the internet on a daily basis or have any sort of contact with other human beings, you have no doubt heard about the augmented reality game Pokémon GO, which was released just last week to everyone. From the creators of Ingress, Pokémon GO is all about catching Pokémon, and you have to actually go outside and find them. The game uses your phone's GPS signal to relay information about Pokémon that may be in your area, and once you're close enough to a Pokémon, you will have an opportunity to capture said Pokémon. However, if you'd rather not leave the safety of your home to catch Pokémon, we may be able to help you. Location spoofing isn't a new thing, but when used in conjunction with games like Pokémon GO, you just might have something pretty exciting. So today, we're going to show you how to trick Pokémon GO into thinking you're someplace that you're really not so that you can capture Pokémon that might be in a city far, far away. Note: While the steps in this tutorial do work, it is important that you are aware of the risks involved in tricking the game. Niantic, the creators of the game, might issue you a soft ban if you attempt to spoof your location which will prevent you from logging into your account for a few hours. However, if you're rooted, there is a way to prevent them from finding out that you're spoofing locations. First, you will need to set up your Android phone to be able to alter its GPS location. There are several you can choose from, but we'll be using Fake Location Spoofer Free from Megapps Ventures. If you want to do it on an iPhone, you'd need to be jailbroken and use a similar app from Cydia. 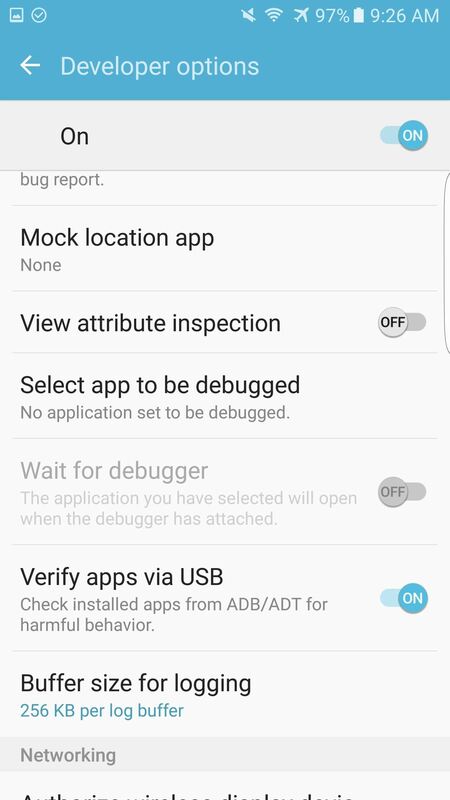 Once the app is installed, you will need to enable "Developer options" on your phone, if you don't already have it enabled. When set up, in the "Developer options" (found in Settings), go to "Mock location app," then choose the Fake Location Spoofer that you just installed. 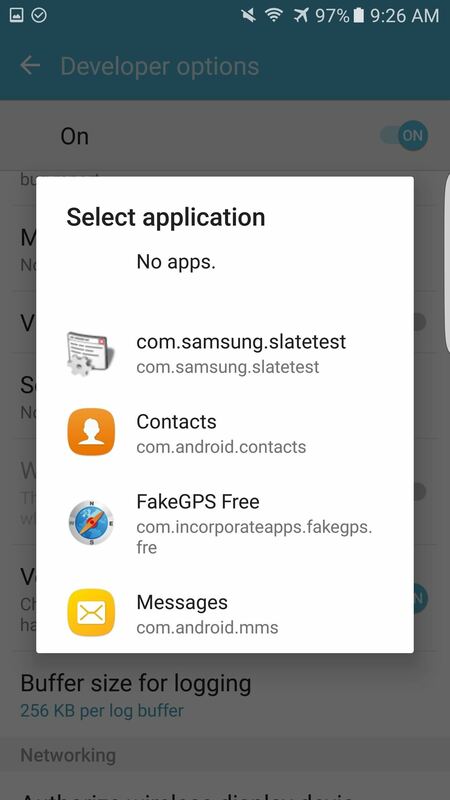 Once your phone is set up for spoofing, open the Fake Location Spoofer app. You will be presented with a map of the world; to choose a location, simply pinch and zoom on the map, and once you are satisfied with the location, double-tap on it, then hit the orange play button on the bottom-right. When your location has been chosen, the app will put a notification in your notification tray that allows you to stop spoofing your location. 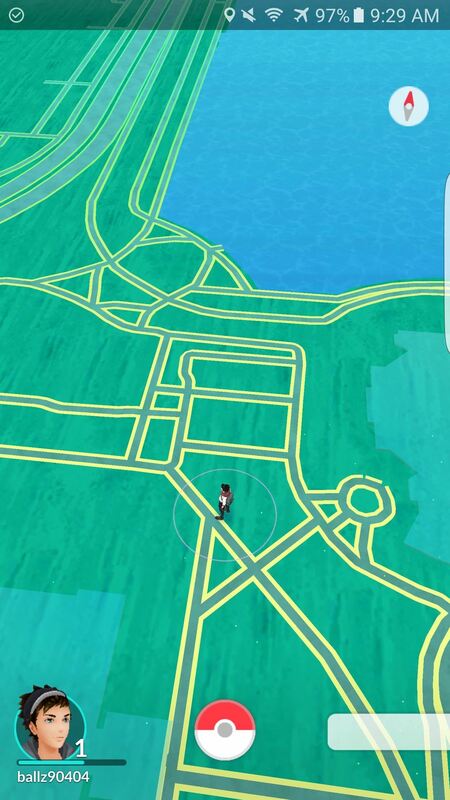 As you may have guessed, once you open Pokémon GO, the game will read your current location as the spoofed location. As a result, once inside the game, you will be presented with a map of the location you are spoofing, along with all the cute and cuddly Pokémon in the area. (1) Our default location in Los Angeles. 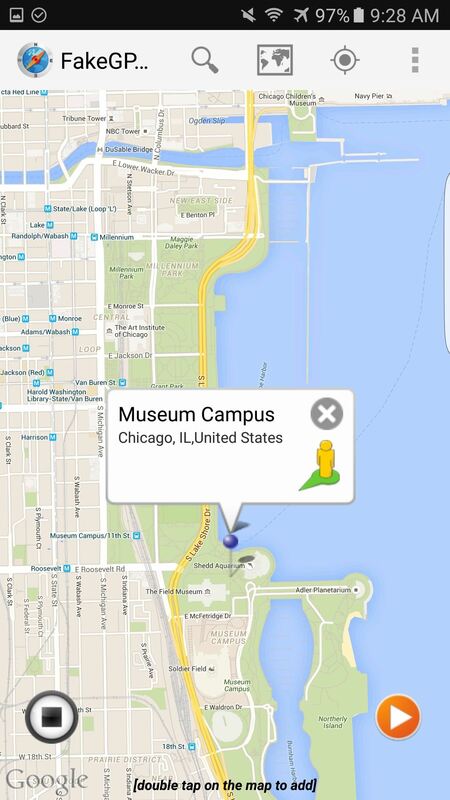 (2) Our spoofed location in Chicago. It is highly recommended that you do not change your location more than once every few hours or so, or else you will increase the likelihood of getting soft banned. By changing your location every few hours, you will be able to capture Pokémon without ever having to leave your home. If you're worried about a temporary ban or just want other ways to play in a lazy fashion, you can "spoof" distance goals (to hatch eggs, for example) using a few different techniques, courtesy of Rusty Cage. It should go without saying, but there are definitely risks involved by tying you phone to a ceiling fan or placing it in your bike's spokes, but hey, gotta catch 'em all, right? i think i just got soft banned x-x how long does that will usually last? anyone knows? not working. if i mock location this does not recognize location. Whenever I enable "mock locations" , in a game it says "Failed to detect location" . I get teleported where I want but there's no pokestops or gyms around. How can I prevent "mock locations" for displaying "Failed to detect location"
Hmm, looks like they may have added a cheat-protection here, because we're getting it too. Where you able to find a way through this problem? Yeah i got the same thing. Did you know how to fix it? It still works fine for me the soft ban is a little annoying but its only around an hr. Just don't jump around too much once the pokemon start running and you can't get pokestop's just take a little break. Don't know something abaut Pokemon Go but I'm Android Developer. WARNING! DON'T DO IT WITHOUT KNOWING SOMETHING ABOUT ANDROID DEVELOPMENT AND SYSTEM! 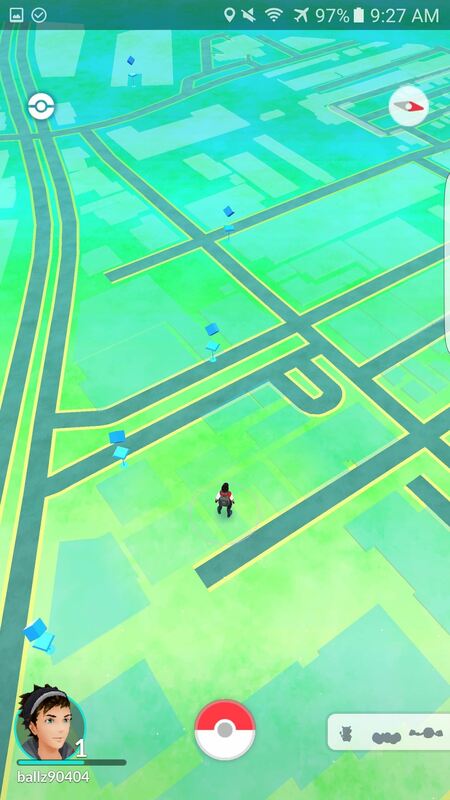 In Developer Mode you can use Mock Location to Simulate GPS, but some Apps like Pokemon Go! knows if it's activated. The Solution is to hide the hidden System Information abbout Mock Location and simulate real GPS. It's not as easy because you have to touch the Android System. Know Install the "Mock Mockup Location"-Module from the Xposed-Framework app and activate it. Done! Know your Mockup-Location Settings are hidden. And you can fake GPS like this tutorial from this website. !If don't work - You have to put Location-Accuracy in your System Options to "Just GPS" !! But then something left: Big Locations Jumps are indicators for hackers. Don't know something abaot the Anti-Cheat System but you can get a Ban. My device is rooted with Xposed and using Mock Mocking locations. You will still risk a soft ban if you jump around big distances. Instead I will advice Lockito, this app lets you simulate your GPS in a way that pokemon thinks you are actually walking to a spot. Not for big jumps obviously but this works. You just need Mock Mock Location to hide your Mock Location Settings! It isn't an Fake GPS App! The new Pokemon Anti-Cheat has got a "Activated Mock Location Detection". Because of this you have to hide this setting. 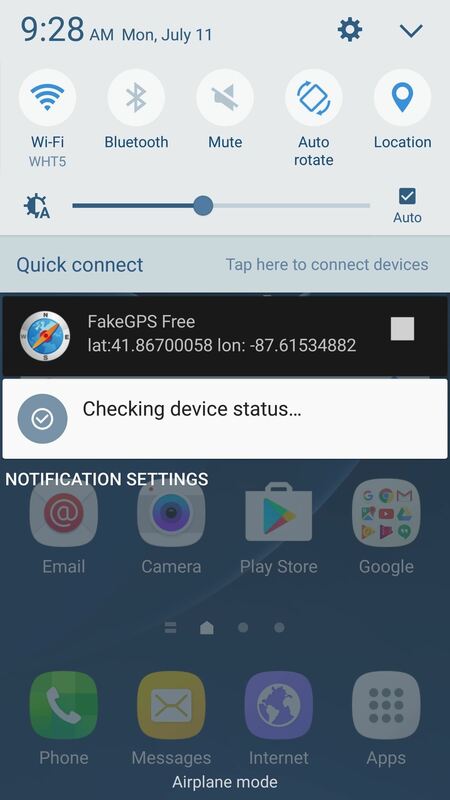 With "Mock Mock Location you can't Fake your GPS" it just hide your Activation. Your App is nice! But YOU NEED MOCK MOCK Location to getting the app work! When I turn on mock location without the spoofers etc. the app already says that it failed to connect, I have mock mock location xposed on too. What's the difference about xplosed mock location and without colors just with a gps spoofer on expert mode? I use gps spoofer on expert mode but when i change location to somewhere, sometimes i can get pokestops and catch Pokémon and sometimes not.. Why? When i select "gps only" the pokemon app syill stays in the elevated option. does anyone knows how to resolve?